Rugged durability meets refined comfort in the 2019 Nissan Pathfinder. This four-door SUV offers room for seven so you can bring everyone along. Choose from five trim levels: S FWD, S AWD, SV Tech AWD, SL Premium AWD and Platinum. Bold style commands attention for the 2019 Nissan Pathfinder. Not only do the rear spoiler and deflectors create an impressive design to capture your eye, but they enhance the aerodynamics of this SUV. Available LED low-beam projector headlights brighten the path ahead while the available 20-inch aluminium-alloy wheels showcase the elegance of this model. Add roof rails to haul more stuff like skis or bikes or just to clear up space inside. 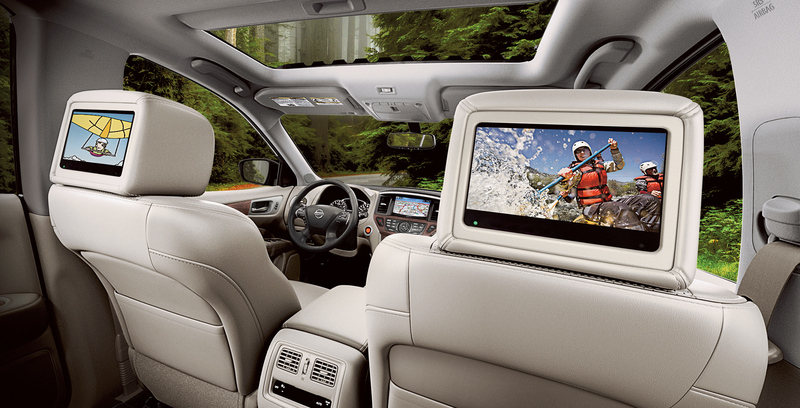 Luxury awaits inside the 2019 Nissan Pathfinder with leather-appointed seats and wood-tone trim. Chrome accents enhance the refinement of the space while the dual panel panoramic moonroof brings in more natural light. Modern technology makes every journey in the 2019 Nissan Pathfinder an enjoyable experience. DVD entertainment for second-row passengers comes with two 8-inch monitors and wireless headsets. With HDMI, passengers can expand their media options from a smartphone or tablet. Find your way with the available navigation while life traffic updates help you be prepared. Make the 2019 Nissan Pathfinder work for you with the right accessories. Add all-season rubber floor mats to keep mud and water contained. A cargo area protector will ensure this space still looks like new even if you haul a lot of stuff. Consider a roof rack crossbar kit so you can carry more items. All accessories are designed to work with your model. 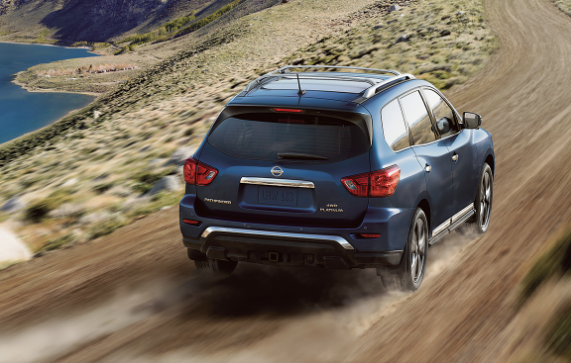 Under the hood of the 2019 Nissan Pathfinder is a 3.5L V6 engine which provides impressive performance. An Xtronic CVT provides smooth handling and precise control. Bring along an RV or trailer with up to 6,000 lbs of towing capability. Choose the available intelligent 4×4 system to ensure you can get where you are going. 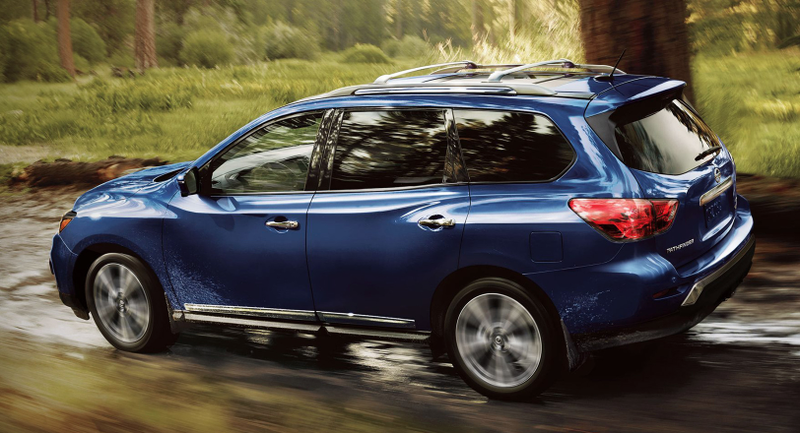 Critics see the value of the 2019 Nissan Pathfinder in its safety and style. Feel secure wherever you go with the 2019 Nissan Pathfinder leading the way. Every 2019 Nissan Pathfinder comes with an exceptional warranty. Whether you want to take your boat out on the lake or your kids to soccer practice, the 2019 Nissan Pathfinder gives you a comfortable, smooth ride. Loaded with premium amenities and featuring modern style, this SUV keeps everyone happy. Discover how the 2019 Nissan Pathfinder fits your lifestyle when you take it for a test drive at your local Cochrane Nissan Dealer – Cochrane Nissan. Come in and let the team at Cochrane Nissan put you behind the wheel of the right Nissan model today.